The Brilliant Boy Comics Website » Archive » Holy macro! pretty incredible. Where is that, the valley? Thanks. 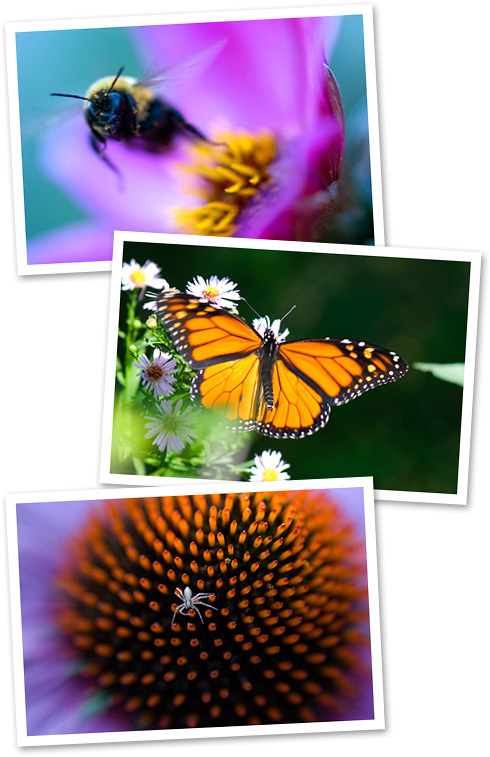 The top and bottom pix were taken in Edward’s Garden. The middle photo was shot during a walk around my ‘hood. Now that tiny spider on the flower is a stunning shot! – love it! Thanks, Andy. It was shot in the evening light, and I was surprised how saturated the colors came out. I would relatively connect with all and let my guests determine how they wish to connect.